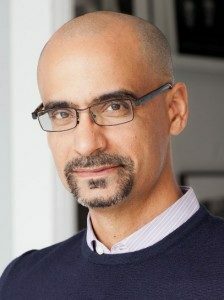 Pulitzer Prize-winning author Junot Díaz will speak at Clark University at 7 p.m., on Tuesday, Sept. 30, in Daniels Theater in Atwood Hall on Woodland Street, Worcester. This free, public lecture is sponsored by the Clark University President’s Lecture Series. Díaz is the author of many critically acclaimed works, including “The Brief Wondrous Life of Oscar Wao,” which won the 2008 Pulitzer Prize and the National Book Critics Circle Award, and “This Is How You Lose Her” (2012), a New York Times bestseller and National Book Award finalist. Born in the Dominican Republic and raised in New Jersey, he is a graduate of Rutgers College. Díaz received a MacArthur “Genius” Fellowship, PEN/Malamud Award, Dayton Literary Peace Prize, Guggenheim Fellowship, and PEN/O. Henry Award. For more information on Díaz’s work, please visit his website. “We are extremely excited to have an author of Diaz’s stature visit Clark,” said Paul Posner, director of the University’s Latin American and Latino Studies concentration and faculty organizer of the event. “His work deals with issues – colonialism’s legacy in Latin America, cultural identity and language, immigration and gender relations, among others – that are of central importance to many of our students and faculty.” Díaz lives in New York City. He is a fiction editor at the Boston Review, the Rudge and Nancy Allen Professor of Writing at Massachusetts Institute of Technology, and serves on the board of advisers for Freedom University, a volunteer organization in Atlanta that helps provide post-secondary directive to undocumented immigrants. Díaz also co-founded the Voices of Our Nation Arts Foundation (VONA), whose mission is to develop emerging writers of color. A book signing will follow the lecture. Mr. Díaz’s work is on display and for sale at the Clark University Bookstore. For more information, call 508-793-7253. The President’s Lecture Series was established in 2002 and consists of several lectures each year by eminent speakers in the sciences, arts, humanities and international relations. Lectures are free and open to the public. To check out previous President’s Lectures, visit here.